A middle-aged man from Somalia who came to Norway with his family in 2005 has emerged as the country’s first suicide bomber. Burhan Ahmed Abdule was considered a pillar of the Somalian community in the southern city of Halden, where his family settled, and once posed for a photo with the former prime minister, Jens Stoltenberg. Abdule killed himself and at least eight others in the attack, according to Norway’s police intelligence unit PST (Politiets sikkerhetstjeneste). Several fellow Somalians in Halden told NRK they’re shocked and angered by Abdule’s decision to return to Somalia and join al-Shabaab. 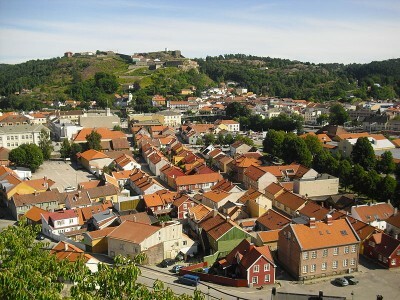 Acquaintances told NRK that Abdule’s family had settled in Østfold County in the spring of 2005. Even though he wasn’t good at football, he played a lot in order to meet other people in Halden. He went to the beach in the summer along with other Norwegians, liked to go cycling and went on a cycling trip in Sweden with friends. He started studying the Norwegian language during his first year in Norway. “He was always in good humour,” said Dahir. He also became a supporter of the Norwegian Labour Party, which held government control at the time. Four years ago, he was among 30 men from Halden who visited the Parliament in Oslo and had a chance to meet then-Prime Minister Jens Stoltenberg. NRK published a photo of Abdule standing right behind Stoltenberg (external link) in 2010. NRK reported that the Somalian community in Halden has had “endless discussions” about Abdule as they try to understand why he would become a suicide bomber back in the country they left. “I’m furious,” said Abdisirak Yusuf. “I never would have thought he would kill innocent people. Most of those who died were ordinary Somalians trying to earn a living.” Abdule’s family, still living in Halden, declined comment. Stig Harle Hansen, an assistant professor and Norwegian expert on al-Shabaab, told NRK that it’s part of the organization’s conscious strategy to use suicide bombers, calling them “the poor man’s Tomahawk missile.” Hansen said it’s also part of the group’s strategy to use people from abroad as suicide bombers. “They’re usually held apart from the other (terrorists) and don’t get much long-term training,” Hansen said, adding that Abdule’s age may also have made him more expendable.